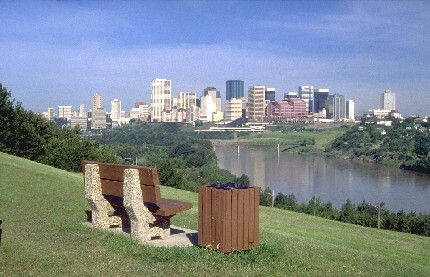 To many residents, the North Saskatchewan River valley and ravine system is Edmonton's finest feature. Preservation of and public access to it are key to our quality of life. To achieve this, the City requires that design of development in all new or redeveloping areas abutting the river valley and ravine system provides for the separation of development from the river valley or ravine. The Top of Bank Policy is also known as Policy C542 - Development Setbacks from River Valley/Ravine Crests. Under the 1985 Top-of-Bank Roadway Policy, separation of development from river valley or ravine often left the City and residents exposed to greater long-term liability, maintenance costs and risk. In September 2007, Transportation and Public Works committee directed City Administration to establish a working group of key city staff and outside stakeholders to further define the Top-of-Bank Policy and issues to be reviewed. Working with industry experts and professionals, community and environmental representatives, a new Top of Bank Policy (C542 - Development Setbacks from River Valley/Ravine Crests) was created and approved by City Council in February 2010. City Procedures accompany Policy C542. These Procedures primarily give direction to city departments as to how and when to apply the policy and are subject to periodic updates. Some direction is also provided to private sector consultants in meeting the technical requirements of the policy.